Manufactured according to regulations of RAL GZ 951/1 and DIN EN 840. 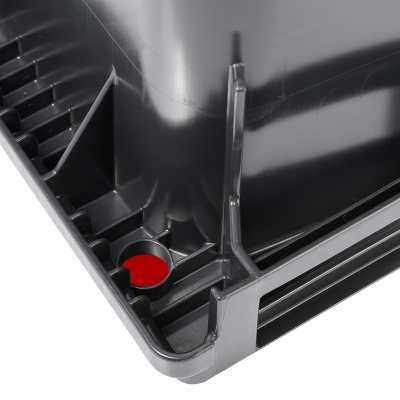 To prepare the wheelie bins from the producer Weber for DIN comb lifting devices according to DIN 30731 or DIN EN 1501-5, you may equip the four 4 wheel wheelie bins with lateral pick-up studs. What’s more, the pick-up studs are steel-reinforced to provide maximum stability. 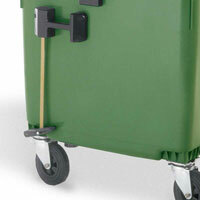 Lateral carrying handles make manoeuvring of the four 4 wheel recycling bins much easier. 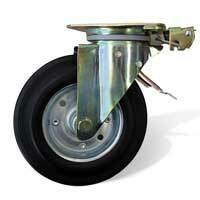 The rugged carrying handles with reinforcement ribs are manufactured according to EN 840-2. 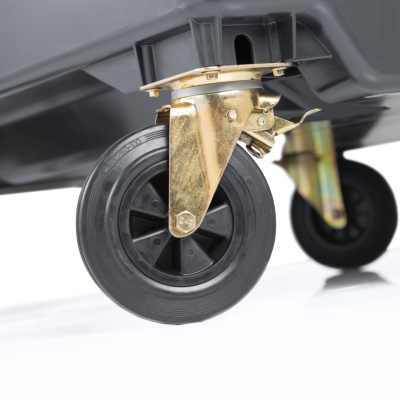 If you have opted for an undercarriage with central stop function, the lateral carrying handles are already included in the scope of delivery of the wheeled dustbins for outdoor use. If desired, we can equip your four 4 wheel mobile recycling container with a central parking brake. The central stop is triggered at the right side of the mobile trash / garbage cans. 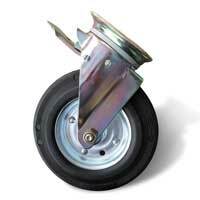 To release the brake, use a triangular key at the right carrying handle of the wheelie bins. To optimally prepare the four 4 wheel wheeled dustbins for long transport stretches or special purpose applications you may equip the wheelie bins with heavy-duty rollers with steel rim and ball bearings, polyamide wheels or castors with non-thread surface. 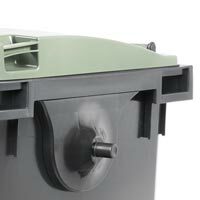 We can fit your wheeled recycling bins with easy to operate steering locks (directional locks). 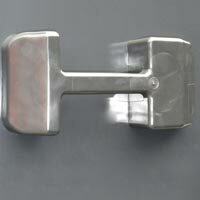 The directional locks are especially recommended if you are using pulling equipment. 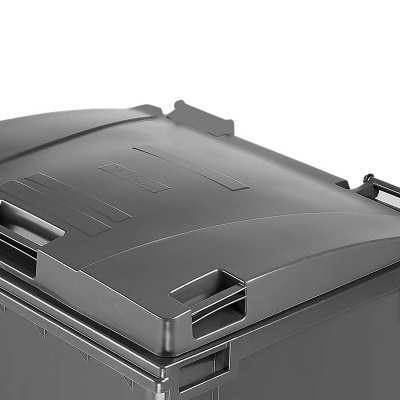 We can mark you wheeled refuse bin with permanent injection embossing on the lid or single-colour corpus embossing. City arms, company logos or numbers are especially liked. 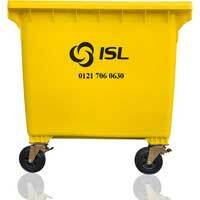 We’ll be glad to offer you advice regarding customization of your wheelie bins. 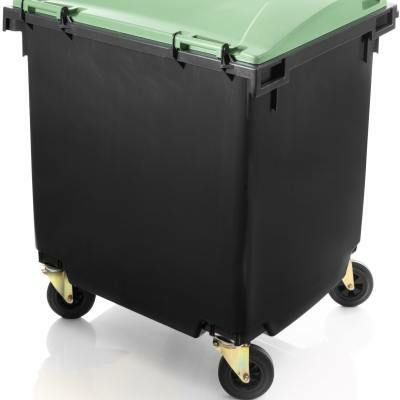 Wheelie bins 1100 L manufactured from high-grade plastic. Available in green, yellow, blue, brown, etc. Order now! Directly from manufacturer Weber!